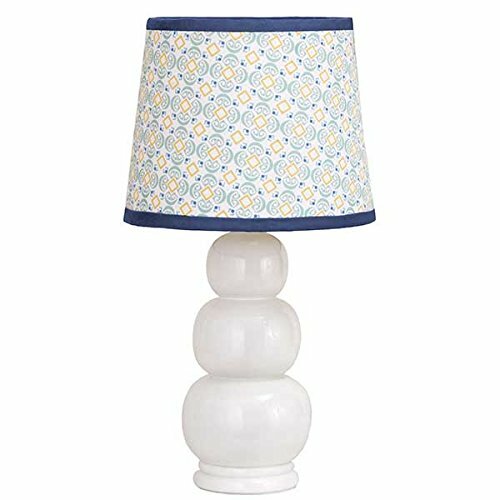 The Happy Animals Lamp Base is 4 inches wide x 4 inches deep, and is 14.75 inches tall. The shade is 8 inches wide at the top, 10 inches wide at the bottom, and is 8.25 inches high. An energy efficient light bulb is included. The base is 4 inches wide x 4 inches deep, and is 14.75 inches tall. The shade is 8 inches wide at the top, 10 inches wide at the bottom, and is 8.25 inches high. An energy efficient light bulb is included. If you have any questions about this product by Petit Tresor, contact us by completing and submitting the form below. If you are looking for a specif part number, please include it with your message. Night Light for Kids, Marmelada Lights, 3D Mini Lampshade Story Series Forest Fox, LED Bedside Kids, Baby, Children Night Lamp Bookshelf, Tabletop, Battery operated 2 months runtime.